Maurice-Pierre Pagé, MD - Central Ohio Surgical Associates, Inc. | Surgical care you can trust. Maurice-Pierre Pagé is a board certified surgeon general surgeon specializing in bariatric and general surgery. 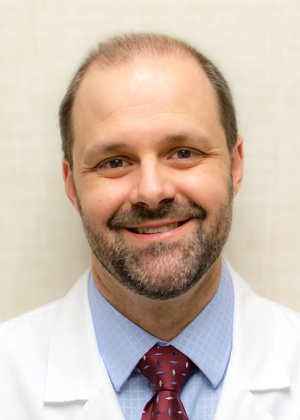 He received his medical degree at the University Of Kentucky College Of Medicine and completed a residency in general surgery at Mount Carmel Health, joining the COSA team in 2013 after completing a fellowship in Minimally Invasive and Bariatric Surgery at the Medical College of Wisconsin. Committed to education, Dr. Pagé has presented at national meetings on the topics of obesity surgery, reflux surgery and robotic surgery simulation and is a member of the core faculty for resident education at Mount Carmel. In addition, he serves a Medical Director for the Bariatric Program there and has been active in the development of Mount Carmel Hospital Grove City, slated to open in 2018. Dr. Pagé lives in the Hilliard area with his wife and two children. He is an avid golfer and hiker.